Because we had a very pleasant experience during our first visit to Corazon at Shangri-La Plaza Mall last May, we decided to drop by again the following month to try other dishes on their menu. Hubby and I are such street food lovers! Look what we ordered! 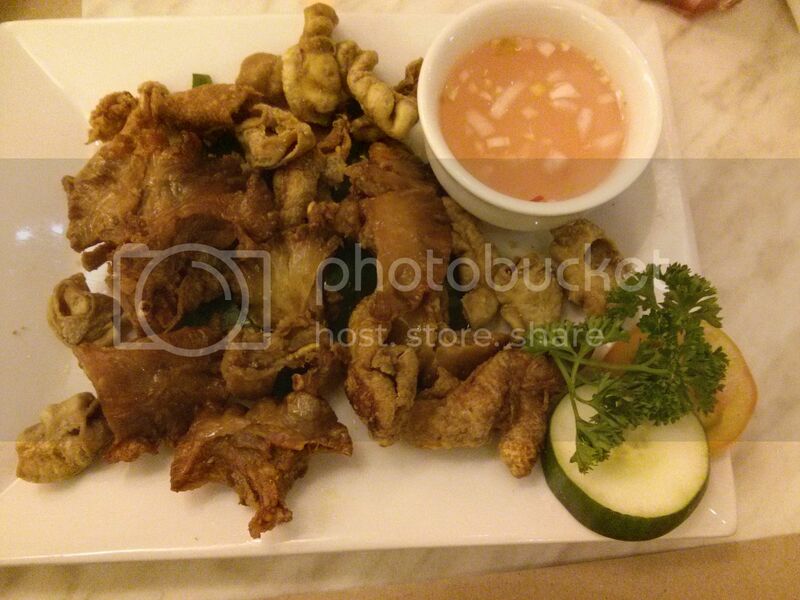 Los Bravos is a combination of chicharon bulaklak, chicken skin and bituka. They’re crunchy and yummy, especially when dipped in spiced vinegar. 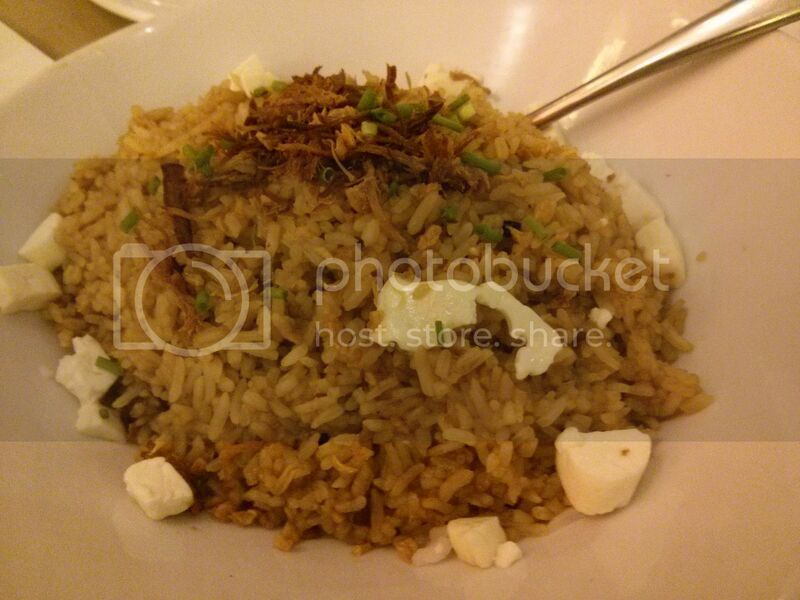 Adobo Rice is steamed white rice mixed with adobo sauce and topped with adobo flakes. We liked this, but we think it’s best paired with light-tasting food as it tends to overpower flavorful dishes, like the Morales that we ordered (see below). Now, you might have guessed already that Morales is Corazon’s version of beef morcon. I loved the presentation! Tender cuts of beef were slathered with thick tomato sauce, topped with grated cheese and served with hard-boiled egg slices. It’s delicious, too, but we realized, rather late, that this is best enjoyed with plain steamed rice. Corazon is a fine-dining Filipino-themed restaurant by Chef Florabel that specializes in Filipino-Hispano cuisine. 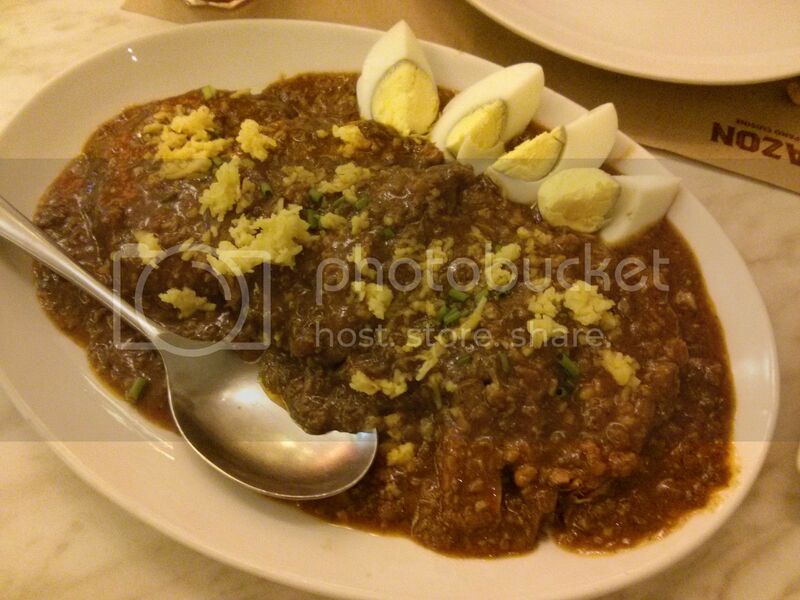 This entry was posted in Chef Florabel, Corazon, Filipino-Spanish Cuisine, Restaurant Review, Shangri-la Plaza Mall. Bookmark the permalink. Morales sounds delicious, I might try making that when I make some roast beef for left over menu. I miss eating these…especially the los bravos! Morales is something I would love to try, seems yummy kasi. The other dishes are just okay but medyo pricy ata. Thank you Sis for sharing. I hope to visit this someday. I am now drooling with your photos. It does not help that I am hungry too. Those dishes look heavenly! Why is it that doctors always forbid you to eat things that are yummy?? Maybe one time won’t hurt. Thanks for sharing. Those crispy little things are to die for!